Power and sail boaters will find the FCI Aqualite Series a perfect fit for small spaces and low power consumption applications. The Aqualite Series still embodies all the FCI features of the larger models in a physically smaller and low power consumption package. The Aqualite Series provides for a water production of 31LPH in a package weighing 30KG and a current draw of 4amps at 220VAC. “The sail boaters favourite” Please contact Products@allmarineservices.com.au for further information. Power and sail boaters will find the FCI Aqualite Series a perfect fit for small spaces and low power consumption applications. The Aqualite Series still embodies all the FCI features of the larger models in a physically smaller and low power consumption package. 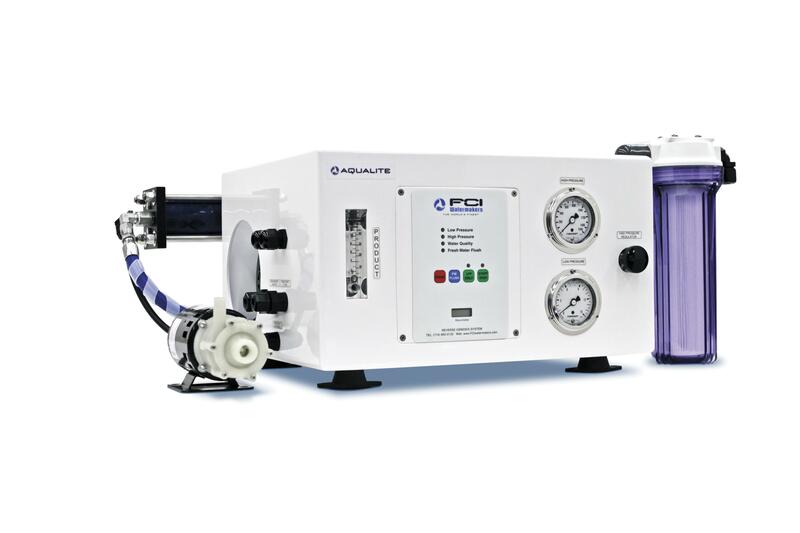 The Aqualite Series provides for a water production of 31LPH in a package weighing 30KG and a current draw of 4amps at 220VAC.